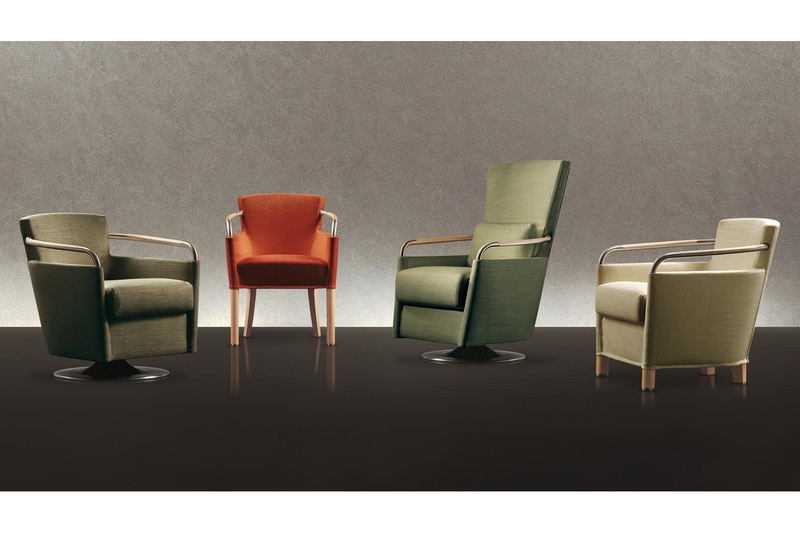 Liba is a series of fixed and swivel armchairs and wing chairs with an ottoman, characterized by its multilayer frame. The base is in polished solid maple or in protected glazed aluminium, for the swivel version. The frame has a steel reinforcement and beech wood wrapped in cold-foamed polyurethane, covered with fibre. The seat cushion is in non-deformable multi-density polyurethane, covered with fibre. 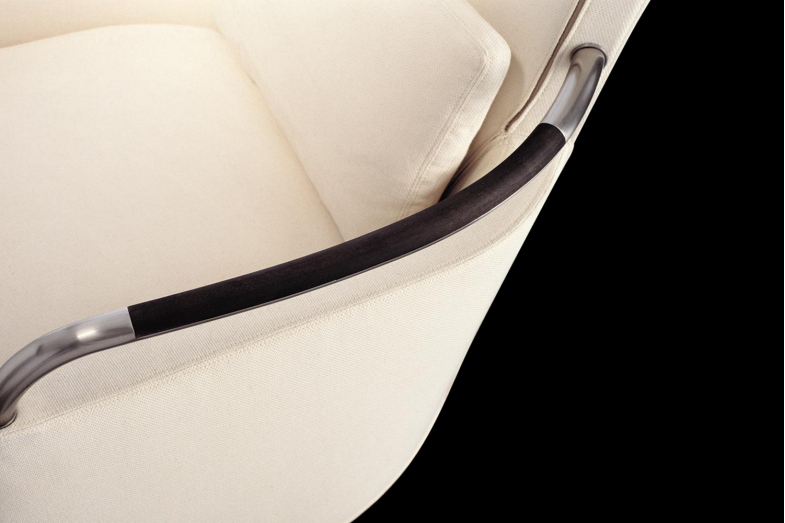 The arms, in curved stainless steel tubing, have polished solid maple inserts. For the wing chairs, there is a lower back feather cushion. The foot-caps are in glazed nickel-plated metal. The upholstery is available both in fabric and in leather and it is completely removable.